The founders of EverybodyFights believe their baby has what it takes to be a contender in the competitive fitness center industry. 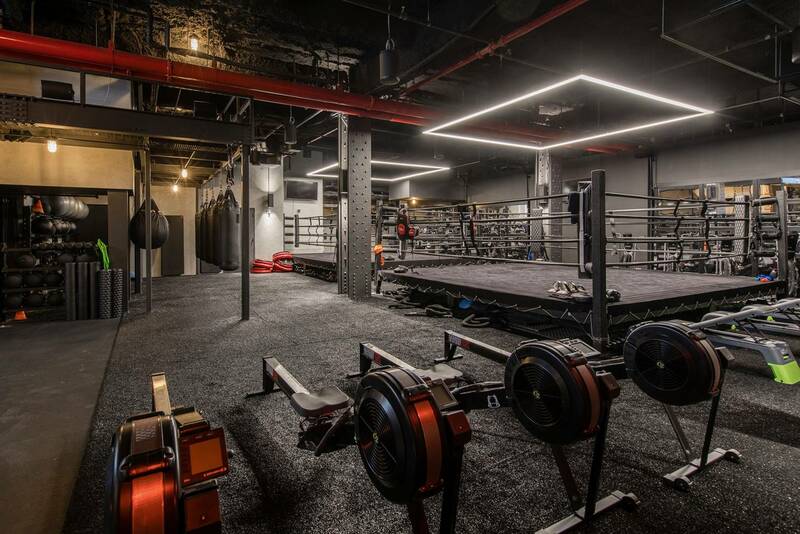 This urban gym concept combines boxing classes with a luxury fitness-studio experience. “The difference between EverybodyFights and a lot of boutique fitness clubs that are popping up everywhere is its authenticity,” said Corey Bialow, CEO of Bialow Real Estate, in Needham, Mass., the master broker representing the retailer in its national expansion. Perhaps fittingly, EverybodyFights was co-founded by George Foreman III, son of the former heavyweight boxing champ. His co-founder is businessman Anthony Rich, who is the company’s president. Foreman III pursued a professional boxing career of his own (a record of 16 wins and no losses in 2009). He worked as a trainer and coach and developed his own fitness program based on a real boxer's training camp, including high-intensity interval training classes. In the fitness world, intense interval training is known for delivering fat-burning and muscle-building results. Foreman III adapted his proprietary training program into a series of fitness classes that fall into five categories: boxing with heavy bags, circuit training, endurance, fight techniques and recovery. In addition to its roughly 120 classes per week, the gym offers treadmills, free weights, locker rooms and a live DJ. Each gym contains a boxing ring for those who want to box for fun or to test their skills and technique. EverybodyFights opened a second Boston facility, in the financial district, last March, as well as a gym in New York City’s midtown, in August 2017. The fourth of these is to open in Lexington, Ky., this summer. Plans for the next 12 months involve sites in Los Angeles; Philadelphia; San Francisco; and Washington, D.C.; as well as in Texas (Austin and Houston). EverybodyFights facilities measure between 8,000 and 10,000 square feet. The main expansion strategy involves growth through company-owned gyms, though EverybodyFights is willing to franchise with strategic partners enjoying local advantage in certain markets, according to Rich. 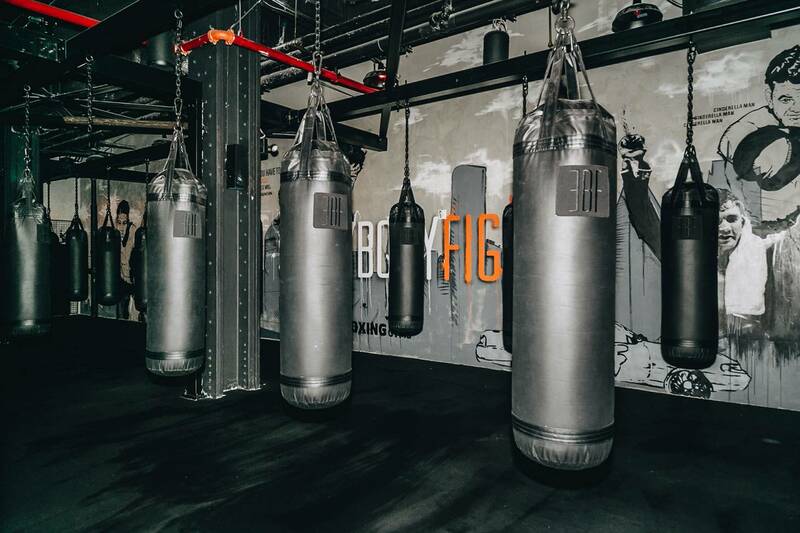 The company has also opened what it calls EverybodyFights Box locations; these are similar to store-within-a-store formats, putting the class experience into third-party-owned gyms and fitness centers. Currently, there are two: at GymIt, in Watertown, Mass. ; and Midtown Athletics, in Chicago. Real estate inquiries may be directed to Corey Bialow, CEO of Bialow Real Estate, at (781) 400-7435 or cbialow@bialow.com.